The men’s and women’s basketball teams at California Baptist University were looking forward to going deep into the NCAA Division II West Regional Tournament but both fell short of their title goals. With a No. 3 ranking in the tournament, the women’s team had expectations to get back to the championship game. After beating Academy of Art University in their first game 93-70, they faced opponent Alaska Anchorage University March 12, who had a 36-2 record on the season. CBU led during the second half but AAU fought back and forced overtime where the Lancers could not keep the Sea Wolves at bay and lost 83-79. Cassidy Mihalko, junior business administration major, said the team played their best throughout the duration of playoffs. With next season already on the team’s minds, Jarrod Olson, head coach of the women’s team, said they will try to feed off the success of this season and get back to what they know best. “We have a strong group returning for next year and our goals will be the same: represent CBU in a positive way and compete for championships,” Olson said. The men’s team started off the postseason with a convincing win over Azusa Pacific University March 5 in the PacWest Tournament title game. The team appeared ready to show the country they were better than their record in the regular season during the Division II post season. California Polytechnic University, Pomona, was the first test for the men’s team March 11, keeping the game tight toward the end of the second half until CBU found a 70-63 victory. A match-up on March 12, with the Tritons of University of California, San Diego, was next. The first half of the game was back and forth between teams, but at the start of the second half, CBU found itself down by double digits. 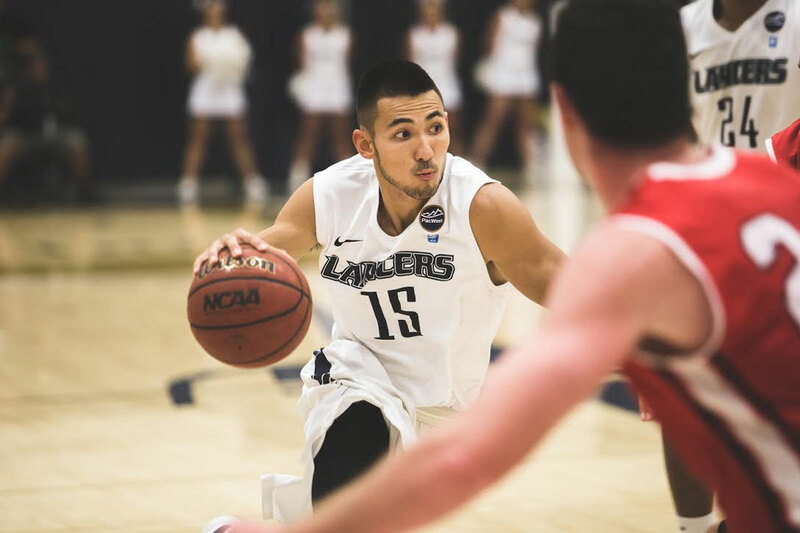 They clawed their way back and closed the gap in the last minute of the game but the Lancers saw their season end at the buzzer as the Tritons won 71-69. The main focus of the off season is improvement. Jordan Giusti, senior kinesiology major, said he and the team closed out their season playing for each other.